From January 2008 to August 2013, 85 school shootings took place across the United States involving 97 attackers. 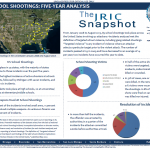 Incidents analyzed met the definition of targeted school violence, including gang‐related shootings. “Targeted violence” is any incident of violence where an attacker selects a particular target prior to the violent attack. The number of incidents peaked at 29 in 2009 and have decreased to an average of 14 per year; two incidents have occurred this year to date. 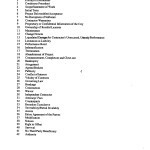 Documents related to the construction of the Domain Awareness Center in Oakland, California including the Science Applications International Corporation (SAIC) proposal to the City of Oakland as well as emails and weekly updates on construction progress. 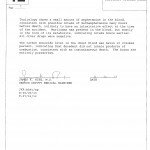 Contract documents between the City of Oakland and Science Applications International Corporation (SAIC) for construction of the Oakland Domain Awareness Center. Report from the Los Angeles County Coroner on the death of journalist Michael Hastings released August 20, 2013. 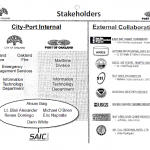 A presentation from May 2013 providing status updates on the construction of the City of Oakland and Port of Oakland Joint Domain Awareness Center (DAC). 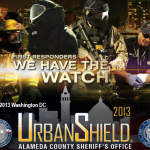 The Central California Intelligence Center (CCIC)/Sacramento Regional Threat Assessment Center (RTAC) has prepared the following Situational Information Report on exploding targets, a commercially available binary explosive agent, to provide law enforcement and public safety officials with a better understanding of the potential public safety risks involving its use. While exploding targets are legally permissible depending on state and local regulations, the CCIC is concerned that the mixture may be more dangerous than what is stated on the manufacturer’s website especially if mishandled by individuals with novice experience in handling explosive components or when used in large quantities to detonate bigger targets and, in essence, creating an explosives or incendiary device. A chart from November 2011 depicting members of the Mexican Mafia compiled by the Institutional Gang Investigators at Pelican Bay State Prison, California State Prison – Corcoran and San Quentin. Within the past year, first responders and members of the public have died of asphyxiation, or fallen ill, following accidental inhalation of concentrated carbon dioxide (CO2) gas in public locations. At least two recent incidents are connected with significant gas leaks caused by the failure of liquid CO2 lines connected to beverage dispensers in commercial facilities. Emergency personnel responding to medical or service calls can use signs and symptoms to determine possible CO2 exposure and correspondent risks to first responders. Group logos, flags, and other extremist imagery are prevalent throughout most terrorist and extremist groups. Imagery provides a means of evoking existing emotional and historical memories in addition to communicating ideas to potential recruits. Logos and symbols are often used as visual representation of groups and/or their ideology. Print, internet propaganda, tattoos, clothing and accessories, stickers, and other graphic media are the most common representations of extremist imagery. First responders need to be aware of common extremist imagery as it may indicate involvement or support for a particular domestic extremist organization or international terrorist group. Firefighters’ roles as a first responder and an emergency medical service allow for unique access to people and information, which can generate invaluable tips and leads. Because the presence and effectiveness of firefighters mitigate the impact of a terrorist incident involving massive human casualties, terrorists have historically conducted preoperational planning that target firefighting agencies in order to limit the effectiveness of their reaction capabilities. Steganography—the practice of concealing data within a carrier—may be used to obscure malicious or criminal information and activity from law enforcement. While steganography dates to the fifth century BC, it has long been regarded as, and remains, one of the most advanced forms of clandestine communication. In modern usage, the Internet allows accessibility to, and broad dissemination of, steganography tools, and its application continues to evolve with technology. Understanding steganography in its current state is essential to its identification and detection.